Here are some pictures of my current WIPs. These are the ones I would like to make progress on this year. 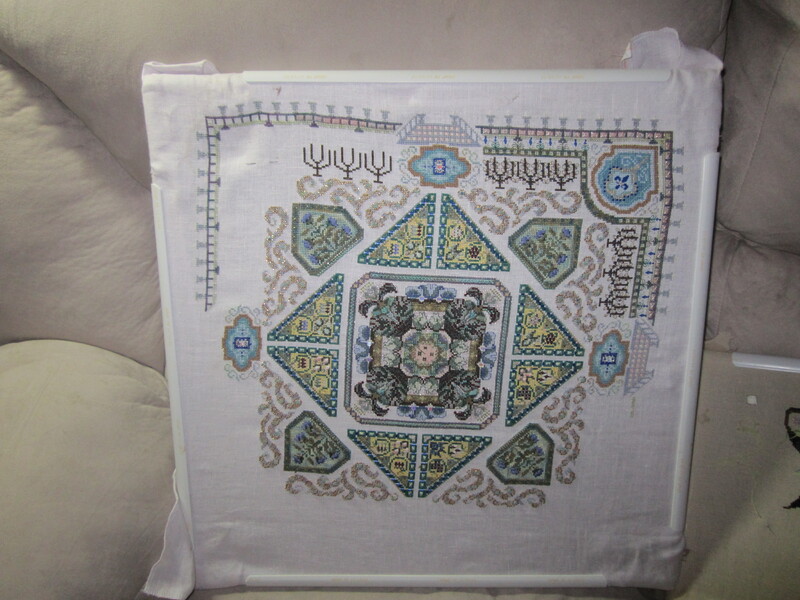 I had one other piece that was started, but it is a HAED and a little overwhelming. Maybe if I get some of my larger pieces finished, I will add it to the mix but for right now it is taking a long snooze. 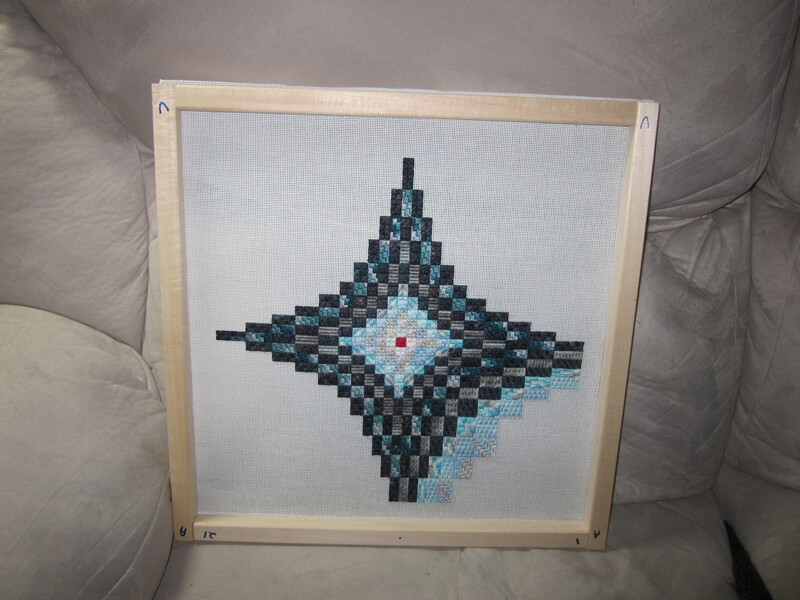 Tuscan Midnight by Needle Delights Many of the ladies at my stitching group do counted canvas and they convinced me to give it a go. This is the second piece I have worked on so far. 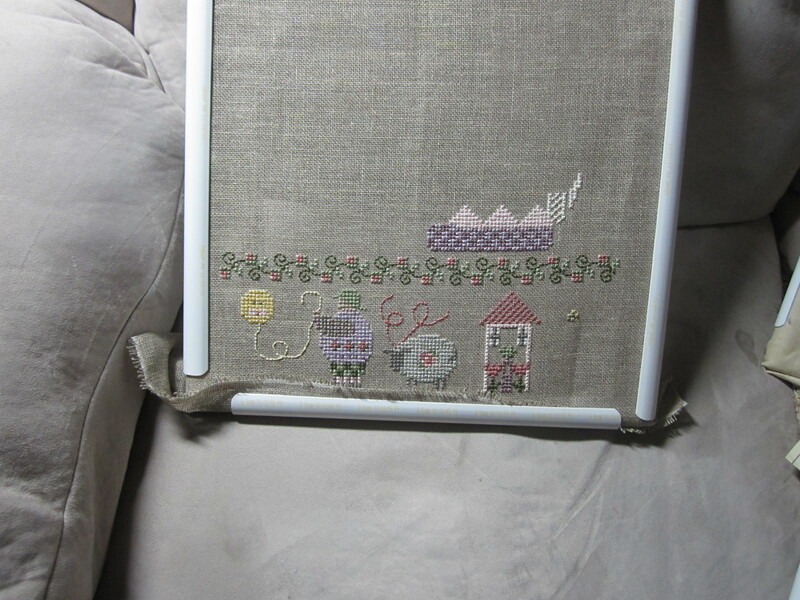 The first corner is almost done and should stitch up quickly once I can devote some time to it. Night Nymph by Mirabilia. 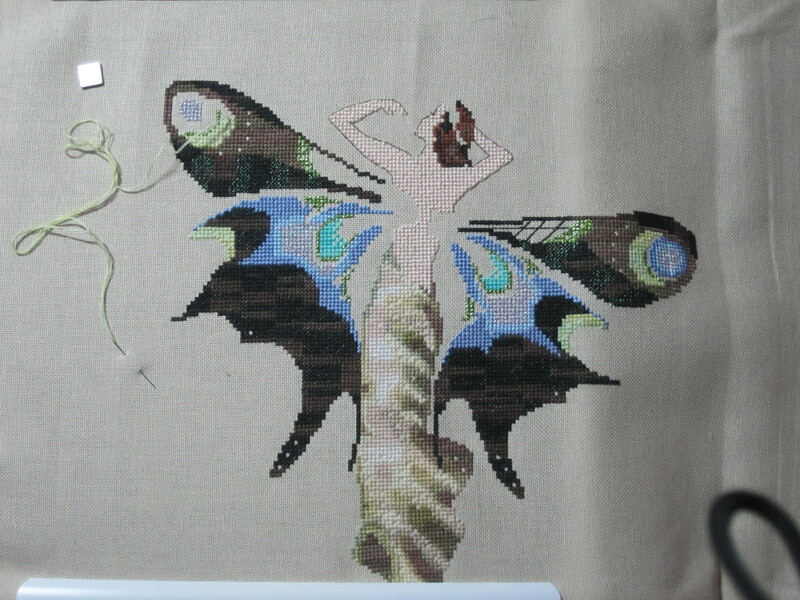 I should have the stitching done tonight if I ever finish blogging:) Then just a ton of beading and she will be ready to join the already finished Day Nymph I had framed last summer. King’s Vegetable Garden by Chatelaine. This has been a WIP since 2007. I am determined to make significant progress this year even if I don’t finish. Mary’s Stocking by Shepards Bush. This will be for my niece Gretchen. This year will hopefully be a year of stockings as Natalie needs one as well. 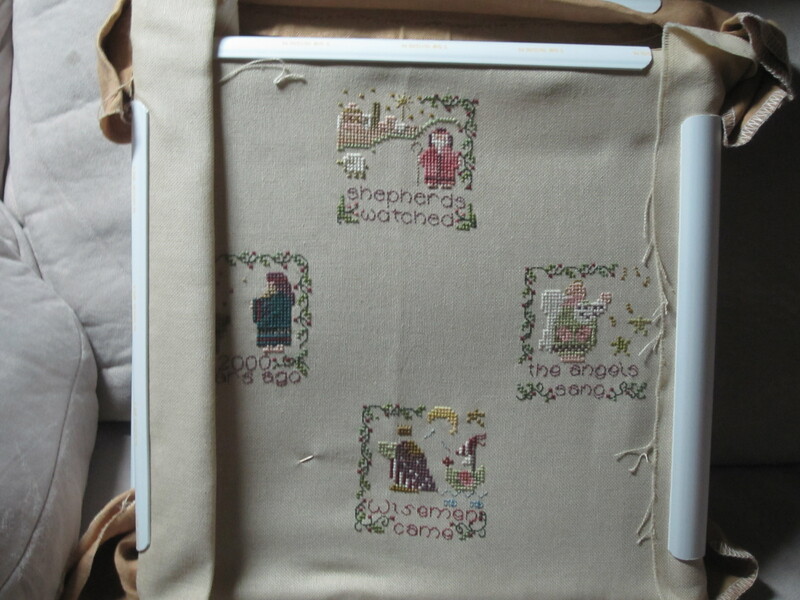 Part 3 of Joan of Arc from The Gift of Cross Stitch. Part 4 is below and I will take a pic of the whole thing the next time I have to shift on the frame. I believe this block shows Joan at the coronation of Charles VII of France. 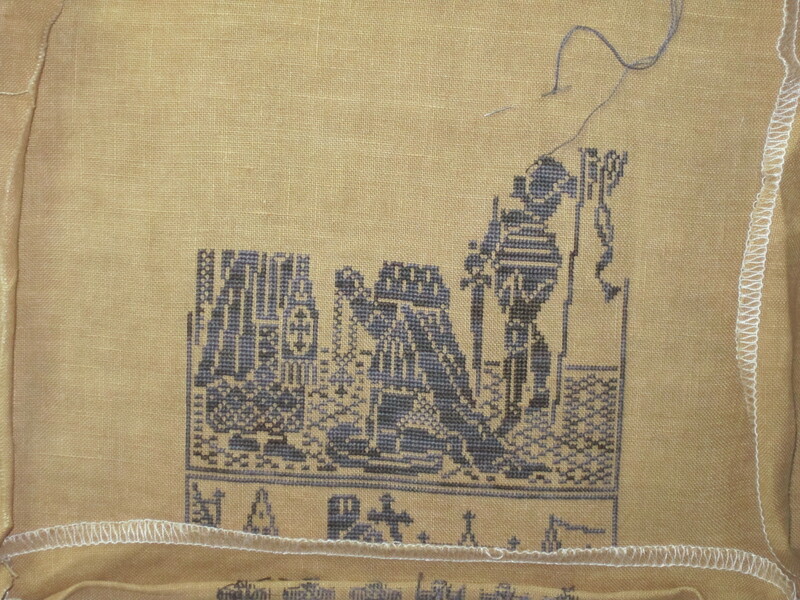 Block 4 is Joan being burned at the stake…fun. A super wrinkly Butterfly Rest. 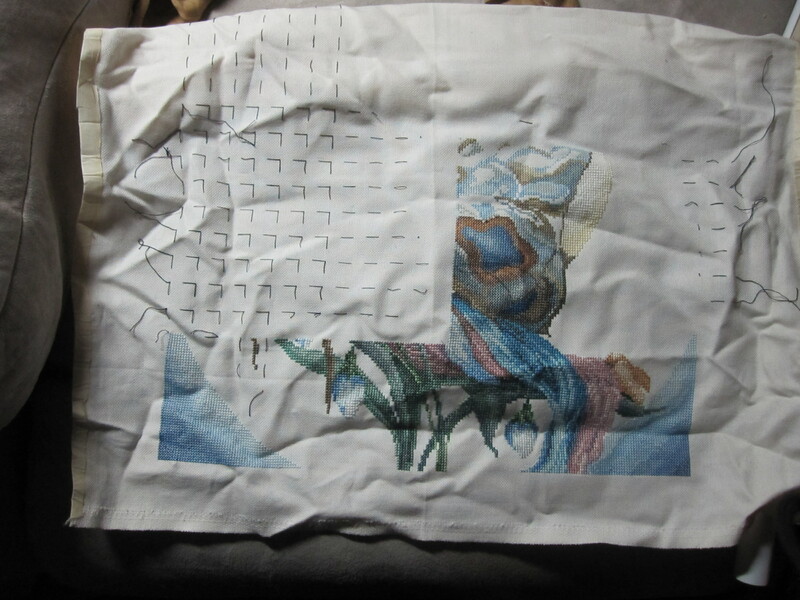 I need to iron it and it will go back on frames once Night Nymph is done. Hopefully it will join Butterfly Day in our upstairs hall this year. Four of the eight Shepherds Bush ornament series. I plan on doing all eight. The wiseman on the bottom still needs a face before I move on the the second set of four. So there you have it. Hopefully by the first progress date I will have some significant beading done on Night Nymph. Lookin’ good Leslie! At least none of your projects are little tiny blobs like my Baroque.